The hollow soft point (HSP) is an uncommon bullet type due to advances in bullet technology replacing it among major ammo distributors. It can still be found, however, and the best way to describe it is between a hollow point and a soft point bullet. While most hollow points are either fully jacketed or not at all, these are almost always semi-jacketed. Semi-jacketed means the bullet has a harder metal on the lower half of the bullet, coating the lead. What this does is allow expansion, but the expansion is rather limited when compared to a typical hollow point. Easier to feed than a traditional non-jacketed hollow point, the primary use of HSP can vary – but they are often used in military-style pistols that were designed to shoot FMJ bullets only, as well as for hunting. Other than that, they can be used in most capacities (some ranges may not allow them). Today this bullet can be found most commonly in .30 Carbine and .44 Mag. ammo. As with any hollow point, these bullets are overall quite accurate. The main accuracy loss will be noticeable at longer ranges due to the opening of the hollow point. Some hunting ammo manufacturers have solved this problem by covering the tip – either with a thin layer of lead, plastic or some type of polymer material – so the bullet has greater accuracy without compromising the expansion properties. A typical hollow point is designed to expand fully on impact, which allows for rapid energy transference into the target. The HSP is designed to have similar expansion, though it’s reduced for more penetration instead of a larger wound cavity. This is a great advantage for larger game hunters who need to penetrate thick skin or bone in order to strike an animal's vital organs for a quick, humane kill. 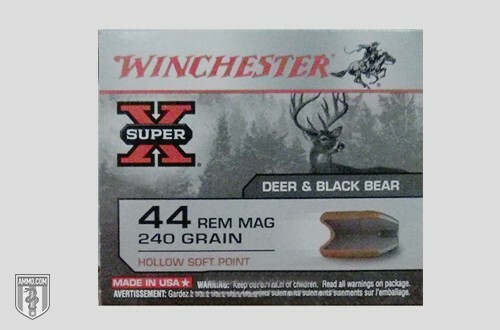 A normal hollow point or specialized game round usually works fine, but with some game (like black bears) a little extra penetration can be desirable. As we’ve covered, hunting and specific military pistol use are the most common applications for this type of ammunition. You’ll probably find more of it available for pistols than rifles, and you'll likely be pleasantly surprised by the accuracy. Remember, not all are created equal – this will all depend on the exact type of hollow soft point you’re using. A good and versatile ammunition with more penetration than your regular hollow point, HSP doesn't have quite as much expansion – making it the perfect middle ground ammo to try.